The quintessential Scottish dish for several centuries! 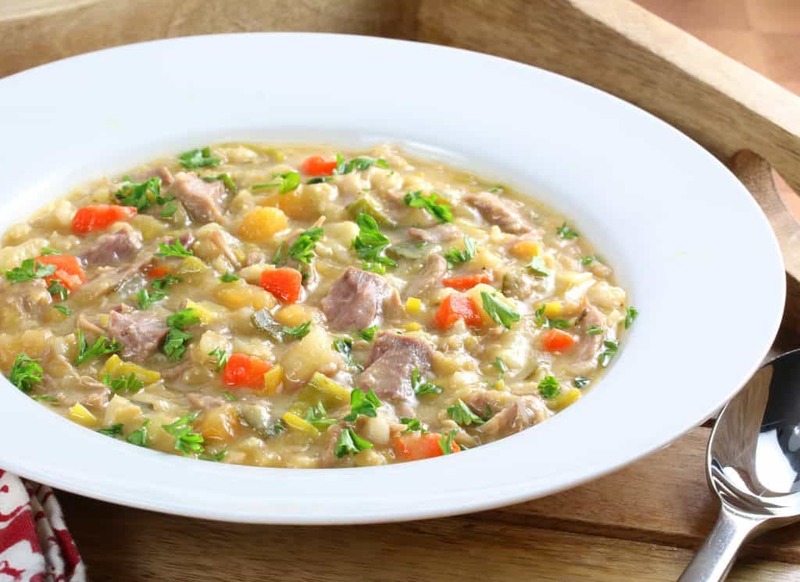 Rich, robust and flavorful, Scotch Broth represents everything that is good about rustic home cooking. I’ve partnered with Aneto to bring you this delicious soup. The first time I had this soup was in a small pub outside Inverness in the Scottish Highlands. It was the perfect meal for a cool afternoon and left me feeling happily nourished and ready to continue my sightseeing adventures. 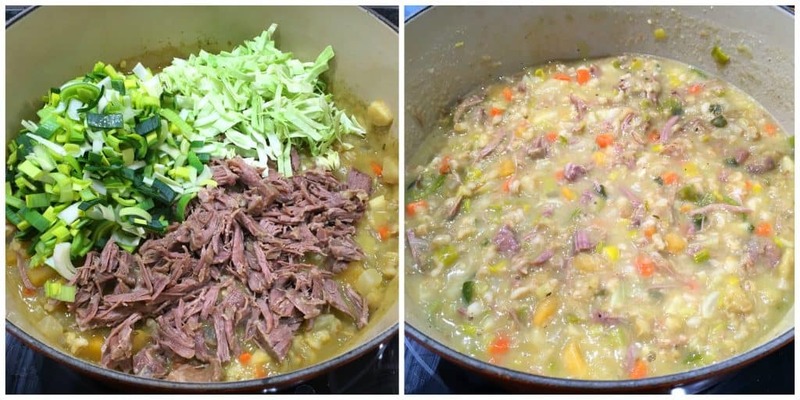 In her 1856 cookbook, Cook and Housewife’s Manual, Margaret Dods referred to Scotch Broth as the “Pot au Feu of Scotland.” Pot au Feu has also been referred to as “the quintessence of French family cuisine [and] the most celebrated dish in France” so in like manner is reflective of the important place that Scotch Broth has taken at the Scottish family table for centuries. 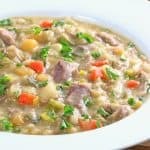 The popularity of Scotch Broth has become so widespread that it’s sold in cans in grocery stores and even some of the biggest brands have picked it up. 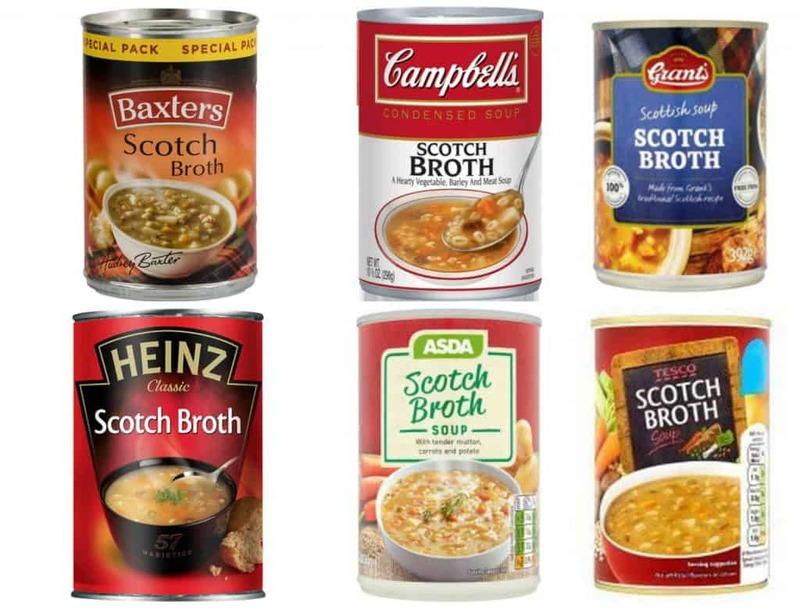 I’ll admit I’ve never had the canned version but what I can tell you is that once you’ve made and tried the real deal you’ll understand why Scotch Broth has been so central to Scottish cuisine. The term “broth” is a little misleading because more so than a thin liquid that is sipped out of a mug or slurped from a spoon, it is a rich, hearty, thick and satisfying soup – really more of a stew – that has traditionally been eaten as the main meal. It’s loaded with vegetables, some fork-tender meat and generously thickened with barley, split peas and/or regular or red lentils. 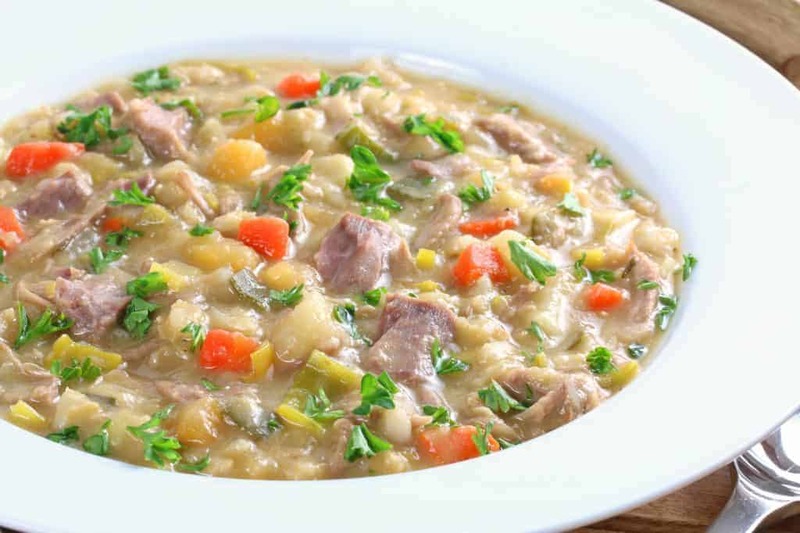 Traditionally Scotch Broth would be made from whatever vegetables were in season but these would typically include rutabagas, carrots, turnips, cabbage, and leek. Mutton or lamb is very traditional and imparts an especially rich flavor, but beef may also be used. And if you have some bones to add to the pot, all the better. 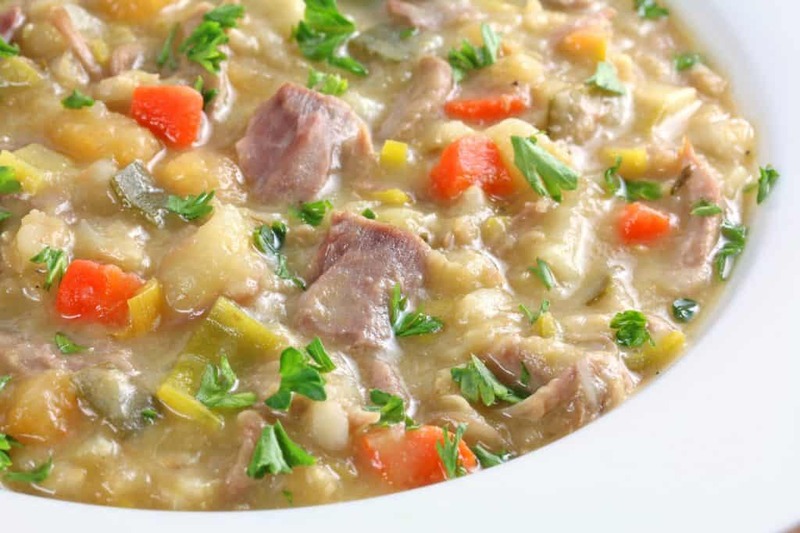 Rich, robust and flavorful, Scotch Broth represents everything that is good about rustic home cooking. Traditional Scottish housewives, ever thrifty and knowing how to make much of little, knew how to gather up whatever fresh vegetables were available, add them together with lamb, mutton or beef, some barley, split peas and lentils (all staple Scottish ingredients), and simmer the mixture low and slow for hours to achieve a meal that by dinnertime would nourish both body and soul. 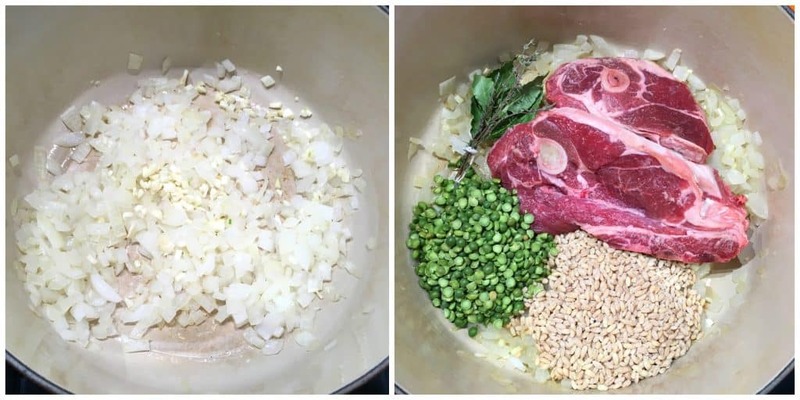 Quality ingredients are key to make the best Scotch Broth. For the best flavor possible, use a high quality chicken broth as its base, especially if you’re not adding soup bones. 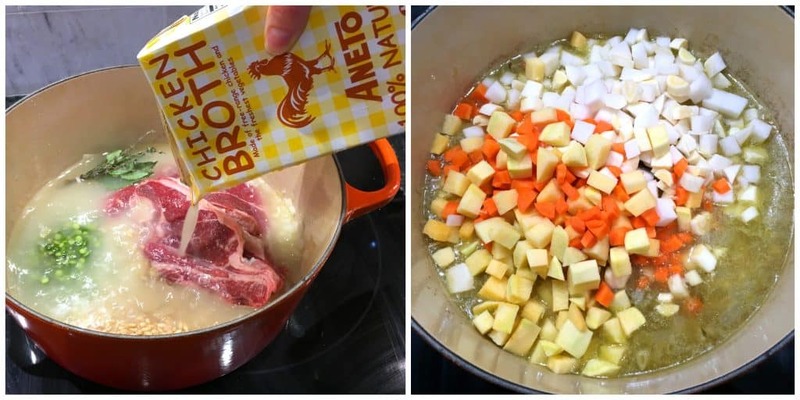 We’re using our favorite chicken broth made by Aneto. Based in Barcelona Spain, Aneto makes their broths just like you make in your own kitchen: They select quality free-range chicken and the freshest vegetables – onions, carrots, leek, cabbage, celery – season it with sea salt and add everything to gigantic pots where they simmer it low and slow for several hours before pouring the broth into cartons to sell around the world. No concentrates, powders, artificial ingredients, “natural flavors”, GMO’s, fillers or flavor enhancers of any kind. Just pure, whole, real ingredients. 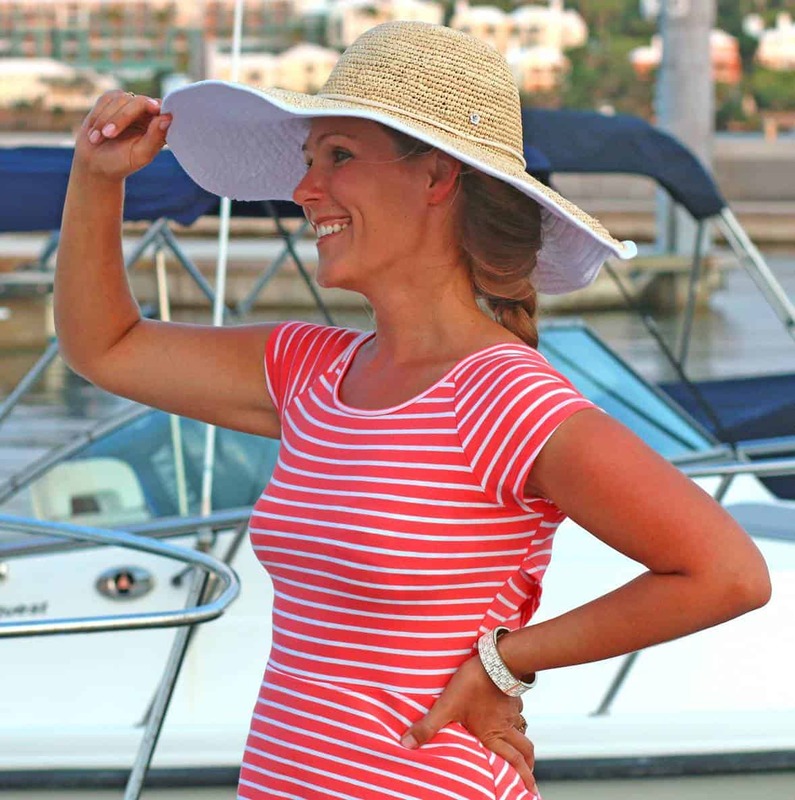 We love and highly recommend Aneto! 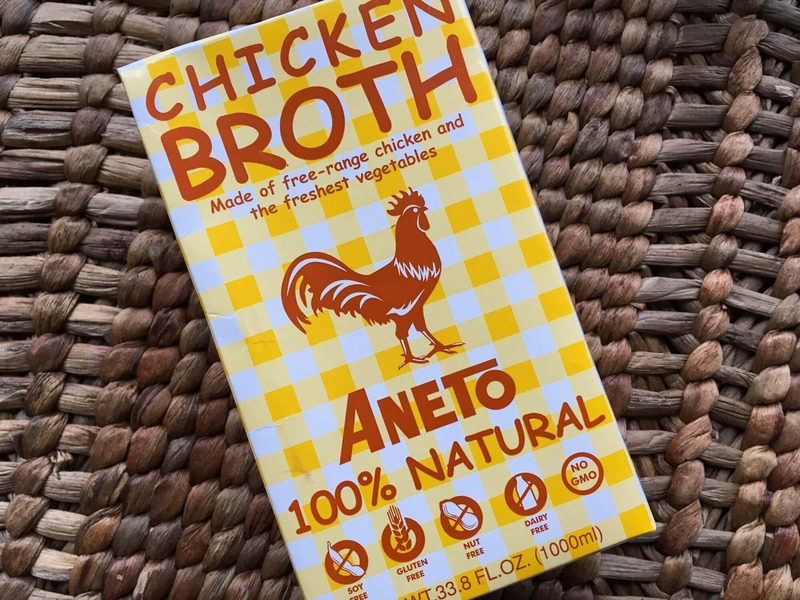 Aneto’s 100% Natural Premium Chicken Broth can be purchased here on Amazon or in select stores across the nation. Note, the broths are significantly cheaper on Amazon if you buy them in bulk (6-pack). Otherwise, for individual broths, they’re significantly cheaper in stores (check the store locator for your nearest location). We had the opportunity to tour Aneto’s factory from top to bottom, watch the broth-making process from start to finish, and were absolutely blown away by the beauty and simplicity of how they create their broths. In the world of broth manufacturers, Aneto is truly unique and their broth-making process is one of the most encouraging and inspiring things I’ve witnessed. 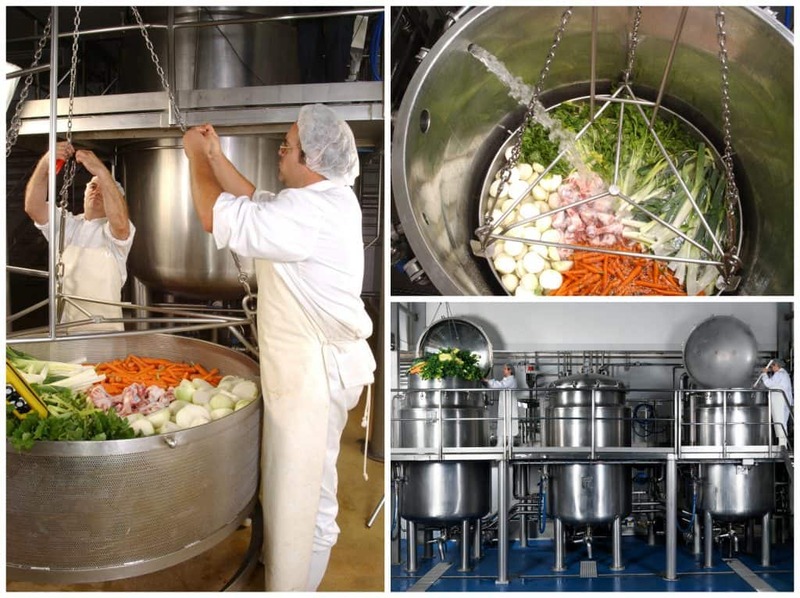 Come read about it and take our virtual tour of the world’s most remarkable broth manufacturer. 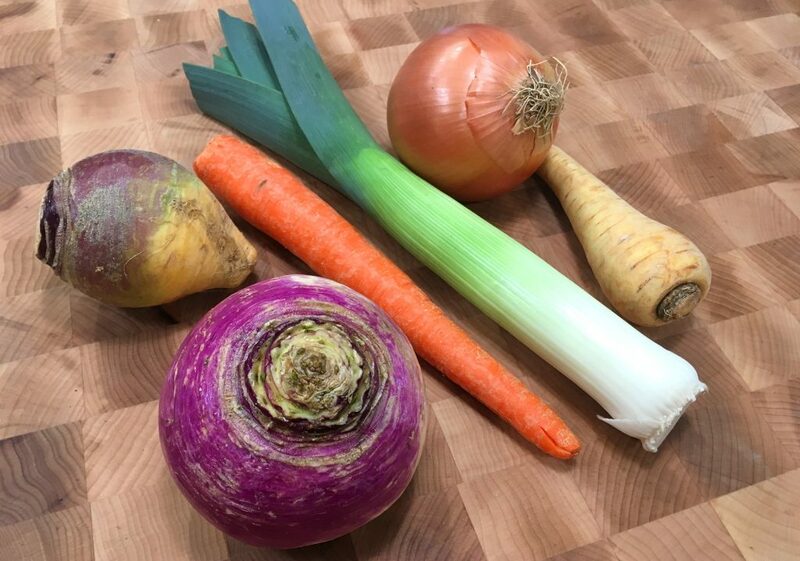 For a wonderfully flavor-packed Scotch Broth, we’re going to use leek, carrots, onions, rutabagas, turnips and parsnips. Get those cleaned and diced. Cook the onions and garlic in the oil in a heavy stock pot or Dutch oven until softened 4-6 minutes. Cook the onions and garlic in the lard or butter until softened, 4-6 minutes. Add the lamb, herbs, barley, split peas and salt. I tie my herbs with a bit of twine for easy removal later. That’s entirely optional. Add the broth, bring to a boil, reduce the heat to low, cover and simmer for 2 hours. Skim off any foam. Add the carrot, turnip, rutabaga and parsnip. Simmer for another hour. Remove the bay leaves and thyme sprigs. Remove the meat, shred it and discard the bones. Return the shredded meat to the pot along with the leek and cabbage. Simmer for another 30 minutes. Add salt to taste. We like this soup on the thick side, almost a stew. If you prefer the soup a bit thinner, add some more broth. This authentic Scottish soup will nourish your body and comfort your soul! Cook the onions and garlic in the lard or butter until softened, 4-6 minutes. Add the lamb, herbs, barley, split peas, salt and broth. Bring to a boil, reduce the heat to low, cover and simmer for 2 hours. Skim off any foam. Remove the bay leaves and thyme sprigs. Remove the meat, shred it and discard the bones. Return the shredded meat to the pot along with the leek and cabbage. Simmer for another 30 minutes. Add salt to taste. Thank you to Aneto for sponsoring this post and to my readers for supporting the brands who help make The Daring Gourmet possible! I’ve never heard of Scotch Broth but now I have to make it! It looks rich and comforting and like the perfect cold weather soup. This looks so good! I have to try it out soon! I love homemade anything! This looks soooo good!!!! I have never tried Scotch Broth before! YUM!! This looks so hearty and delicious!! My family would really enjoy it!! Oh I can’t wait to try this, it sounds superb! Can I use pearled farro as I can’t find the barley? Homemade really is best! Loving all the vegetables in this! I’ve never had Scotch Broth but it looks amazing. I’ve never had this broth before, but it looks phenomenal!! This looks like such a cozy meal! This looks like something my whole family will love! This is the coolest broth around. So much flavour and history too. I could go for a nice big bowl right now. This was excellent! I made it exactly as written, also used lamb, and the flavor was so rich and wonderful! I’ve been making this soup for years. It freezes well. If you want it thicker or thinner just adjust your barley and lentil quantities. The version my husband brought over from Endland uses red lentils and Savoy cabbage (when we can get it). It’s always part of our winter soup rotation…it’s delicious! I would love to make this in a slow cooker. You can definitely do that, Klaus. I’d cook it on LOW for 8-10 hours and add the greens in during the last hour. I make soup several times a week. This one is going to happen today. The recipe looks delicious, rich and hearty. Campbell’s has been making Scotch Broth for decades, by the way. I’ve had barley go very mushy if it’s added too early in a recipe process. Is that a concern with this recipe? Hi Beth! Yes, the barley will get mushy but in the case of Scotch broth that’s exactly what you want to happen. It’s used as a natural thickener here. Thank you! That’s important info; Now I won’t worry about it – just let it bubble away. That’s awesome, Kathi, I’m so glad you enjoyed it, thank you! I make this soup after I’ve made a roast especially a leg of lamb. I save all the pan scrapings, bones and fat and simmer for about an hour with just an onion and the tops and bottoms if the celery stalks and cover with water. After that hour I strain it all and then basically pick up where your recipe starts. When the meat and bones have cooled enough to handle I cut the meat up so I can add it back after the veggies etc. are done. I love the fact that I can use the yummy pan scrapings and I can separate the fat before putting the broth back in. It’s a family favorite. My husband doesn’t like lamb so what kind of beef with bone should I use. Thank you for your help. Hi Francine, with a stew like this that simmers for a long time you’ll want to use an inexpensive tougher cut, so any stewing stewing beef (for example chuck roast). You may have a hard time finding stewing cuts with bones. Alternatively you can just get a few beef marrow bones from your local butcher. They’re usually relatively inexpensive (you don’t need much) and add a lot of flavor. Thank you so much for your help. I can’t wait try the soup. Buy boiling beef. It’s on the bone and delicious. In Scotland you can buy it in any butcher‘s (it’s the traditional stock base for Scotch Broth). Also if using boiling beef you’re starting from scratch so no need to use pre-made stock! Delicious! If you’re putting it in a thermos flask for lunches and don’t want chunky vegetables zip it through your blender (removing the boiling beef first). I made a big pot last night… yum! This was WONDERFUL! The flavor is so rich and delicious. Everyone loved it, this will definitely become part of our regular rotation. Fantastic, Carmen, I’m so happy to hear that, thank you! Your recipe looks fine, but I totally disagree on the label “pot au feu”. Pot au feu is neither a soup nor a stew. Chunks of meat are cooked with chunks of root vegetables and – when done – served with condiments separately from the broth, which might well be reserved for soup the next day. 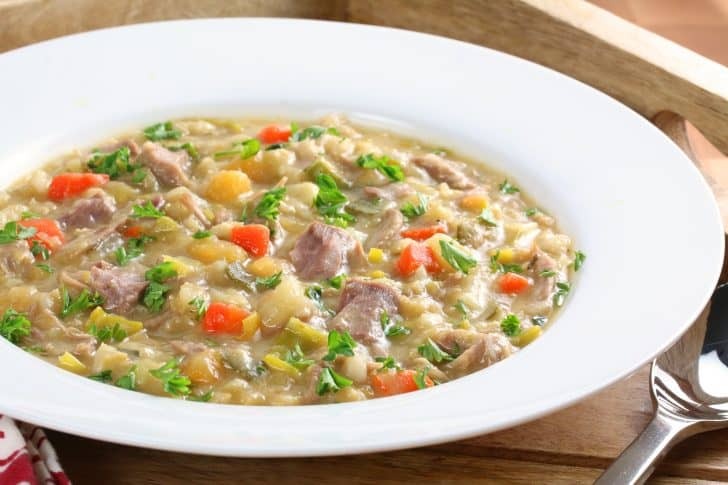 I fell in love with Scotch Broth as a kid making my own lunch of Campbell’s soup ! I don’t know what made me want to make it, but I’m glad I did. Still a favorite. Because I didn’t have a turnip, I doubled the celery; also like mine really thick, so doubled the barley. Seasoned with a little garlic, salt, pepper, Thai basil, and lemon sage, the latter two dried, harvested from my garden and ground up with my little volcanic rock molcajete and tejolote. The family dog has hung out by the kitchen door all day; he lives in hope. This looks great. I appreciate the authenticity of your recipes and that they are all made from “scratch” with good quality ingredients. I would like to modify this to be gluten free, so obviously will have to omit the barley. Is there a substitution you can suggest? 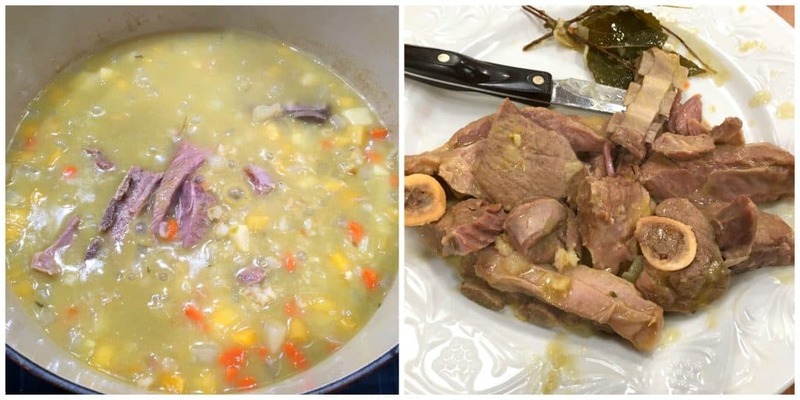 Thank you, Ioana :) There are quite a few gluten-free grains you could choose from (buckwheat, quinoa, millet, sorghum, rice, etc) but one that is traditionally very Scottish and would work well in this soup is steel-cut oats. They have a long cooking time, which is perfect, and thicken up nicely. Their flavor will also complement the soup well. Made this exactly as stated but decided I don’t like lamb although my other half being Scottish loved it. Can I use exactly the same method using a ham hock. Hi Sarah, yes, lamb definitely has a distinct flavor. I’m happy to hear your other half loved it :) Yes, you can ham hock. Or beef.